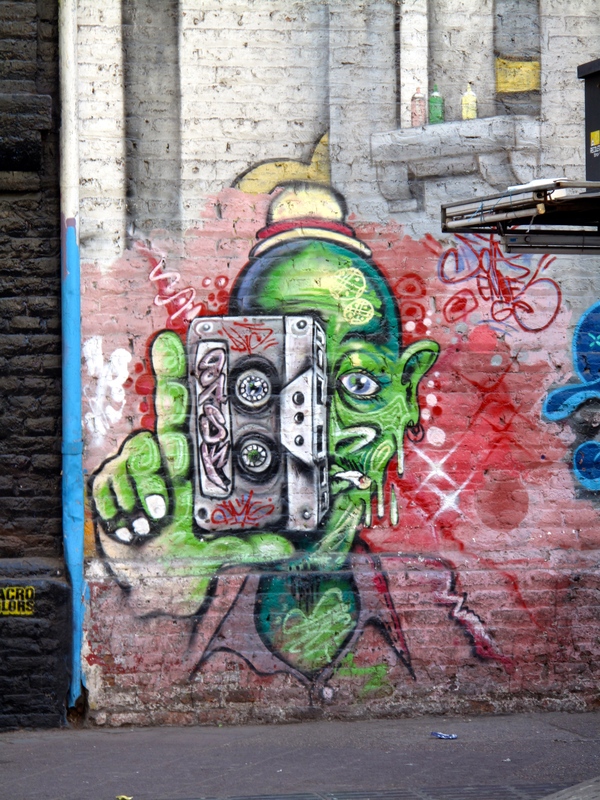 Art’s not normally my thing, if given the choice of an afternoon in a museum or a walking tour, I will wander outside every time. 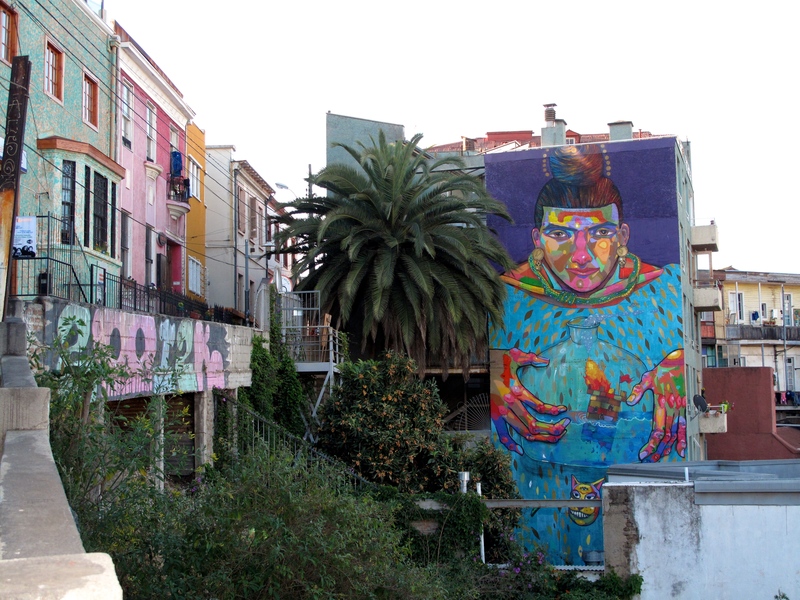 Mix art with fresh air, now this I can get into. 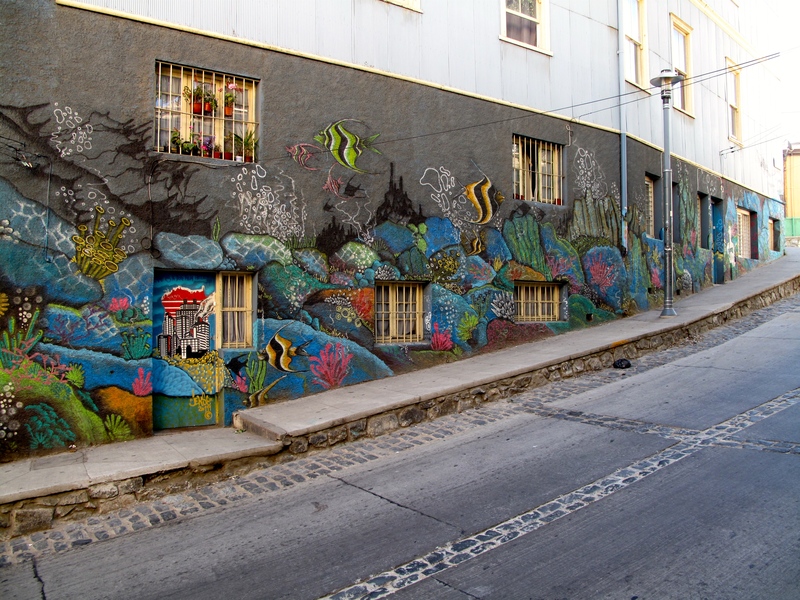 The plethora of high quality, fascinating, graffiti art in Valparaiso and Santiago had me fishing out my camera every block. 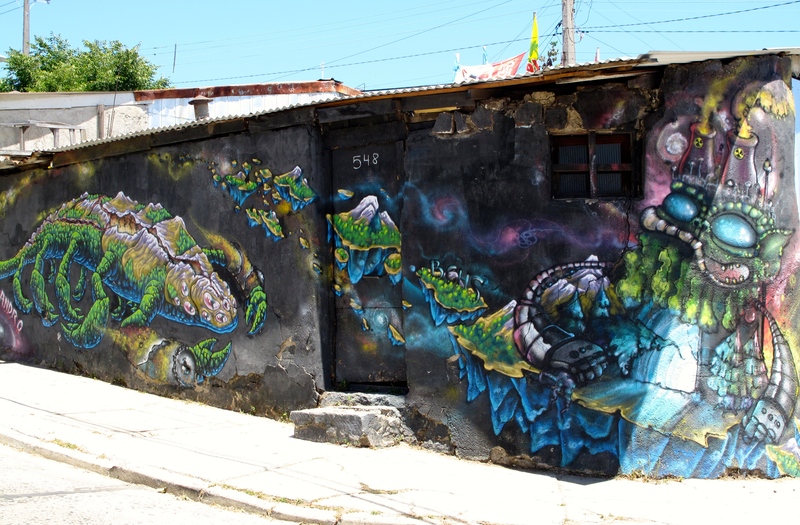 I walked for miles constantly pausing to appreciate the size, scope and cultural message behind some of the best examples of graffiti art I have seen in my years of travel. 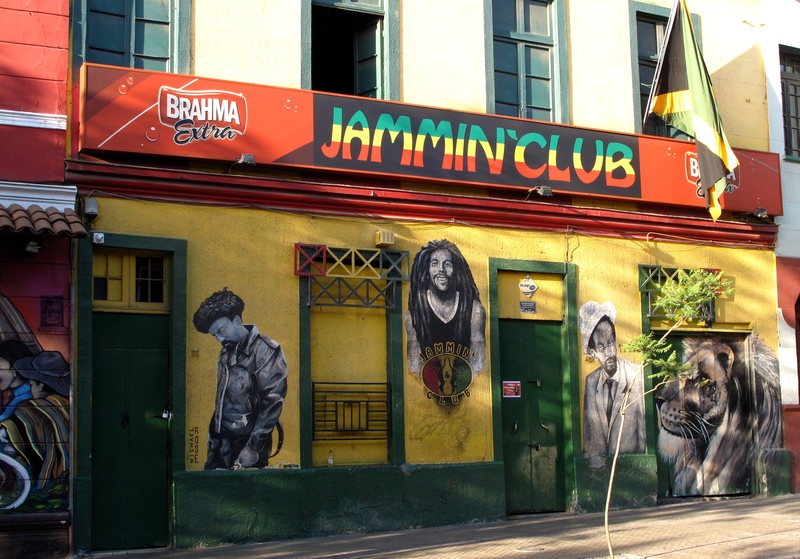 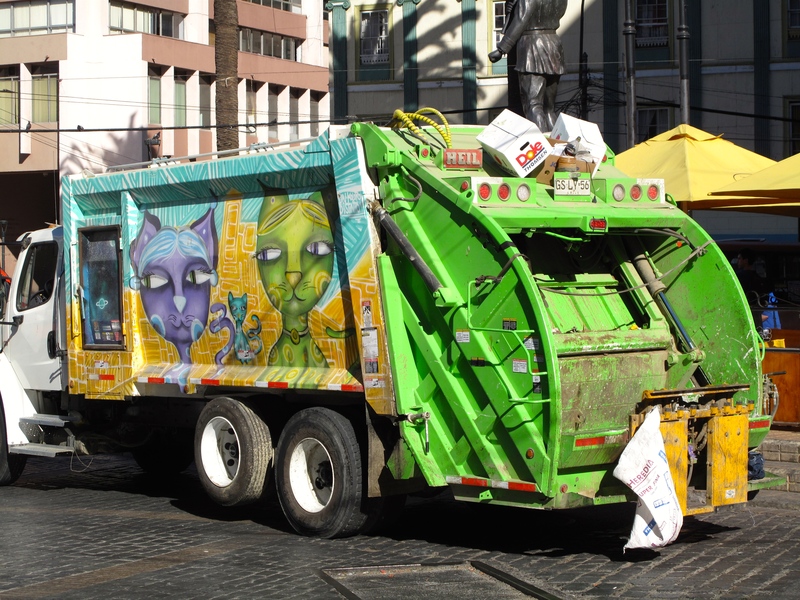 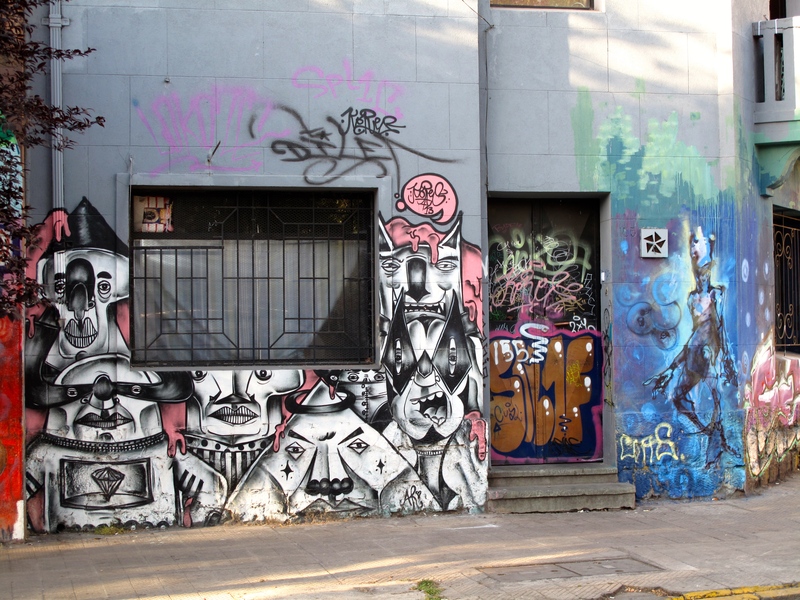 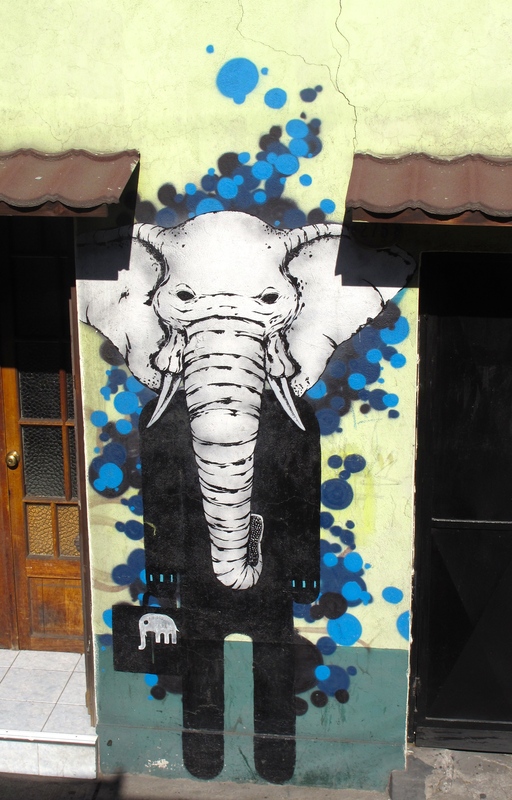 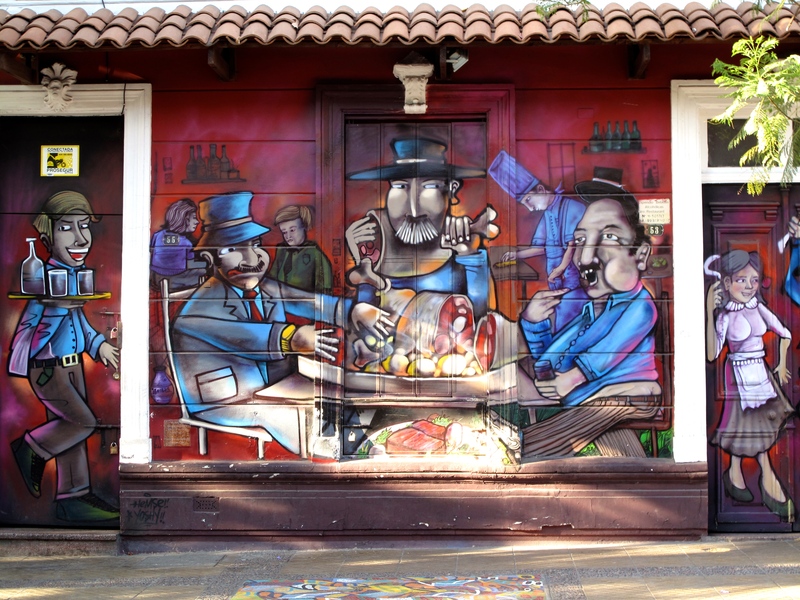 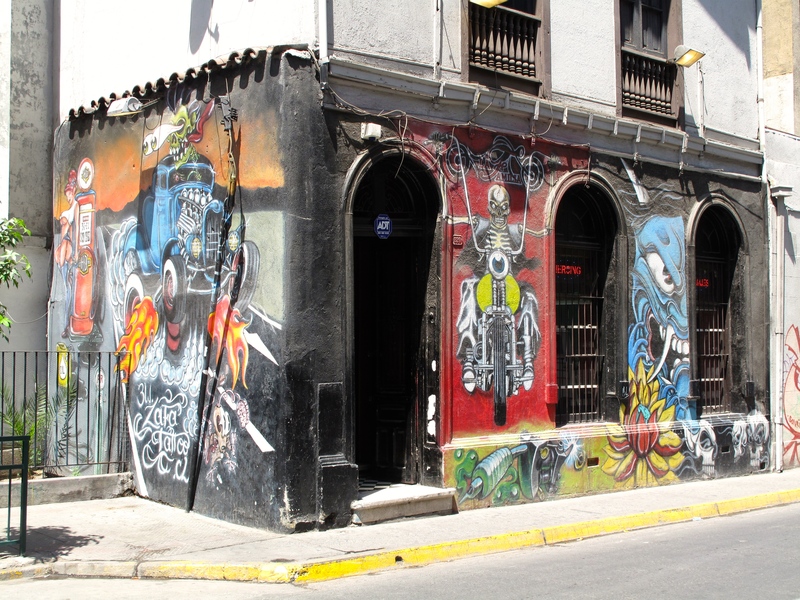 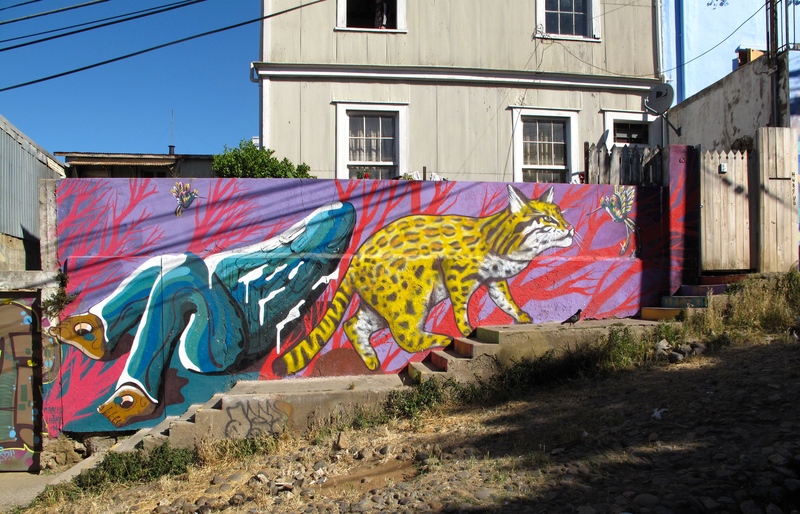 In Santiago’s Bella Vista Neighborhood and along the Maipo River you will see some great urban art. 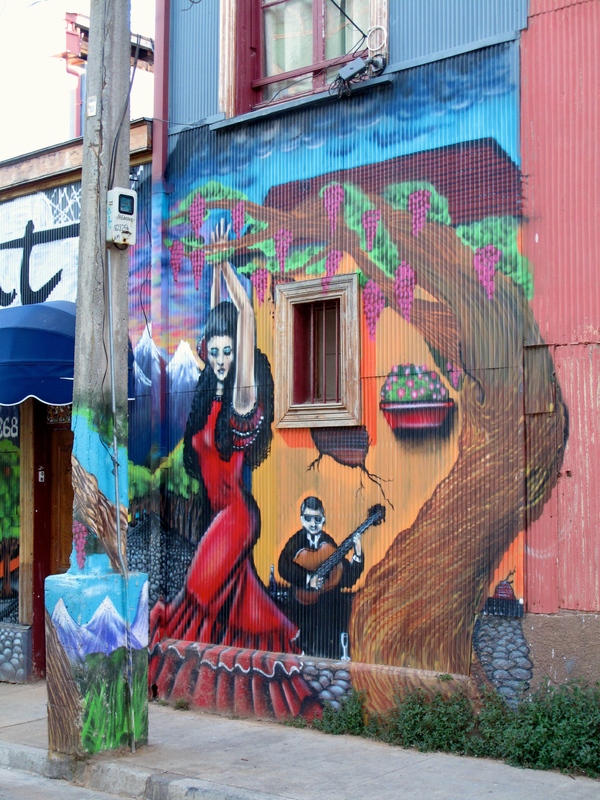 Some for fun, most are displays for business, restaurants and bars. 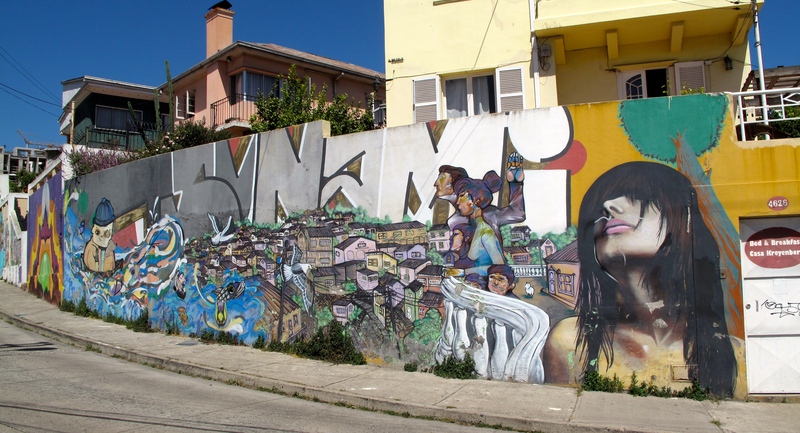 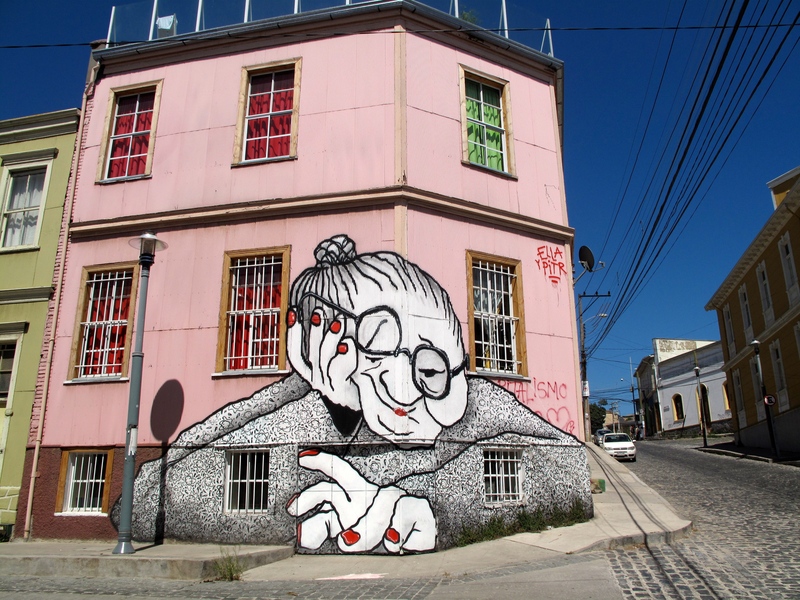 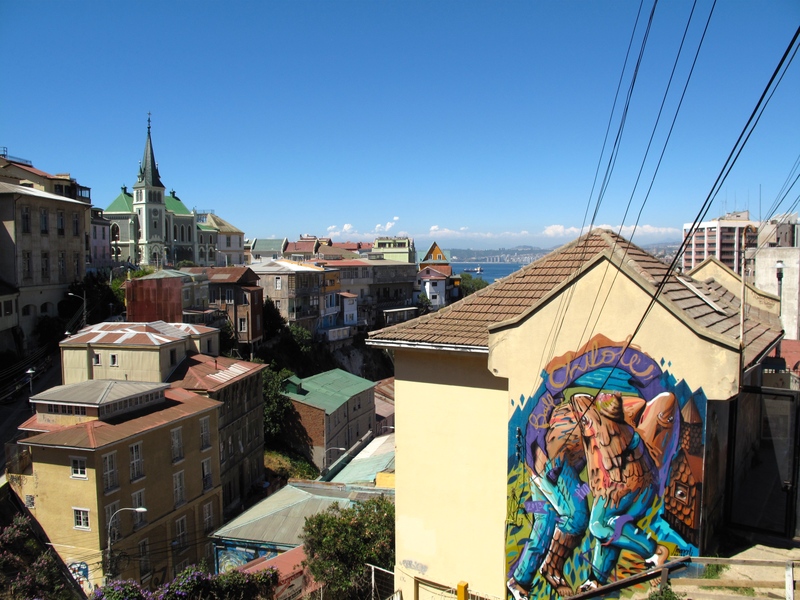 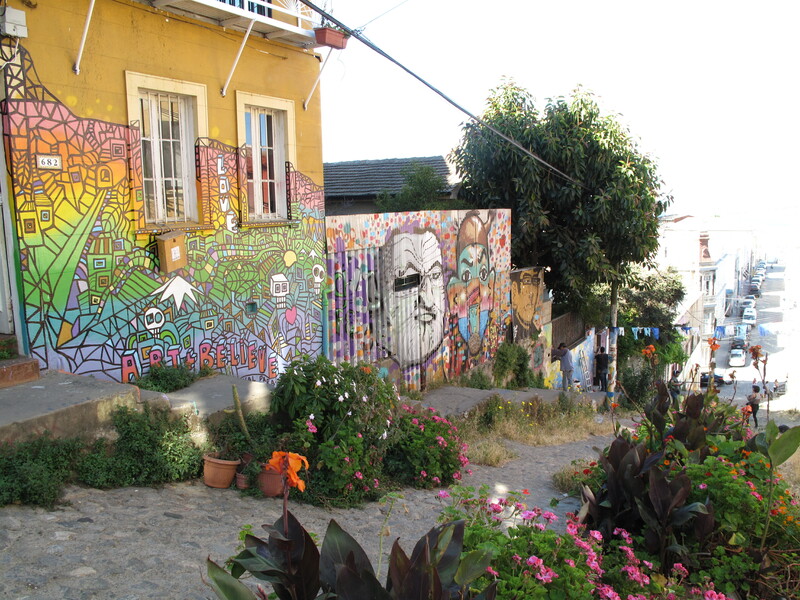 Valparaiso is a gem of a port town, UNISCO heritage site and every wall is a blank canvas. 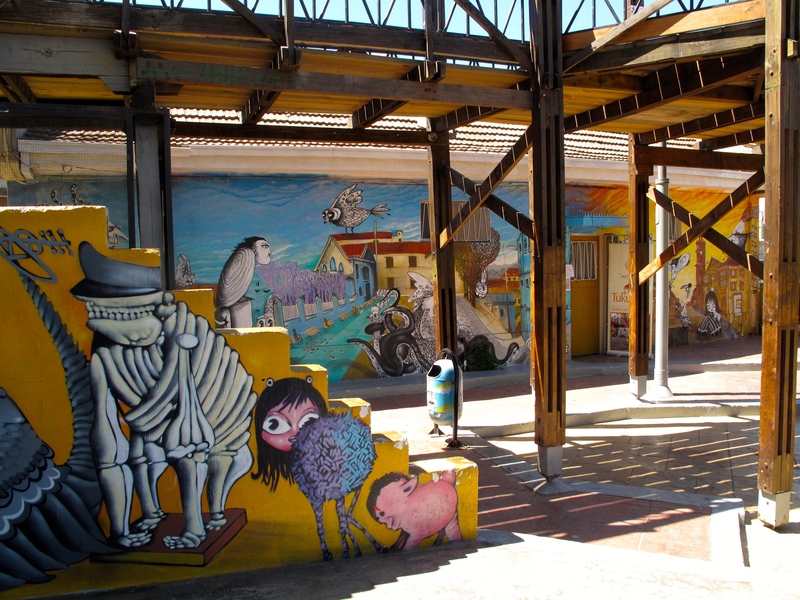 The corrugated tin walls add depth to some truly fantastic urban art. 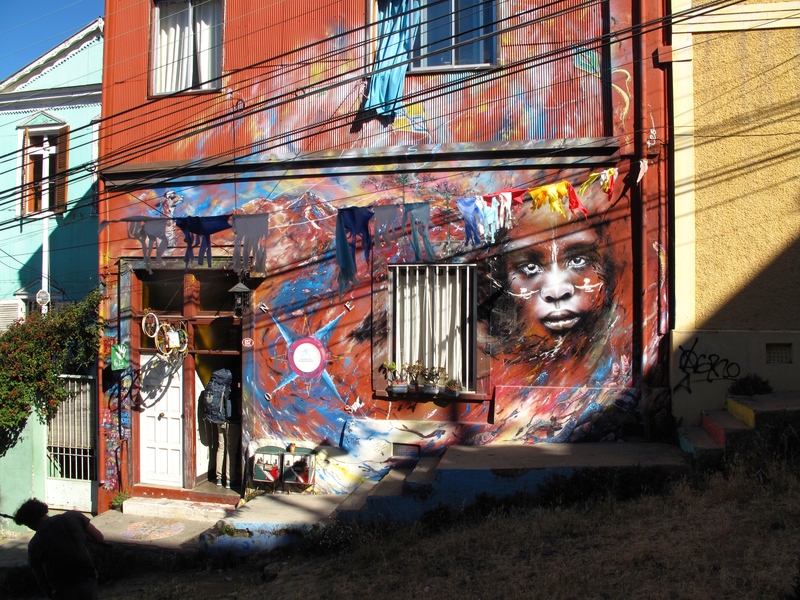 Some works are so vast they cover walls the size of 4 houses. 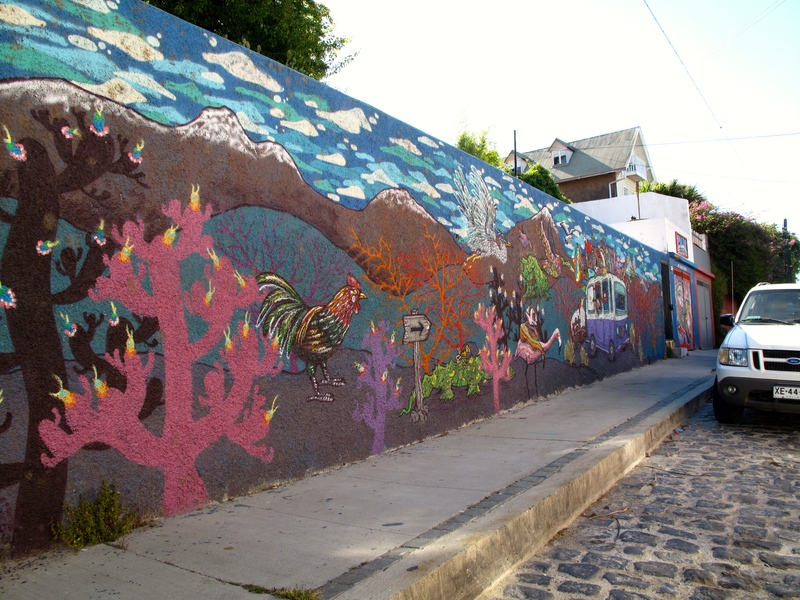 The mix of hills, stairs, ocean views and spectacular public art was so picturesque I kept my camera in my hand the entire day.